Teachers and headteachers are people as well, so it’s natural for them to do weird things sometimes. And the reasoning behind their actions might be unclear. Inspired by a Reddit thread about odd stuff teachers do during the class, the Typical Student team listed strange, outrageous, and plain weird things done by educators. Take a look! 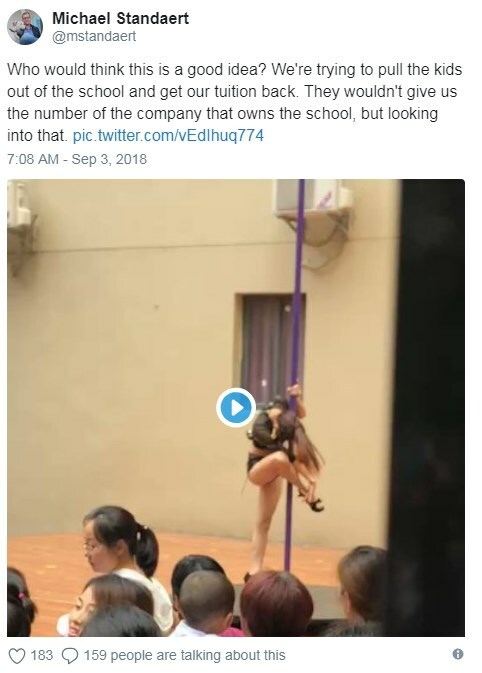 The incident in the kindergarten in the Chinese city of Shenzhen went viral after a shocked parent has told about it to the news outlet. Turns out, kids were welcomed with a pole dancer’s performance after the holidays. And that was the initiative of the nursery’s headteacher! The video of the performance was shared on Twitter by a journalist Michael Standaert with a caption: "Who would think that this is a good idea?" Also, he told about his intention to take his children out of the nursery. As a result, an apology for the performance was issued and an official statement saying the kindergarten principal had been dismissed. Just to cheer you up, not every teacher is weird in a bad way! Some actually have a nice sense of humor. Take David Red who loves cosplays, meme impersonations and more. We just can’t get enough of Professor Red’s jokes, but you can learn more about him in 10 Times This Bored Teacher Played HILARIOUS Jokes on His Students.